The Transnationalism Identities’ Dynamics and Cultural Diversification in Urban Post-migratory Situations (Tricud) had its final conference on May 14-16, 2014 at the University of Liège, Belgium with Nina Glick-Schiller and Steven Vertovec as the keynote speakers. Since we were at the beginning of our research at that time, we thought it would be interesting and invaluable for us to learn more about the contemporary studies on transnationalism, and besides who would want to miss the opportunity to listen to Glick-Schiller and Vertovec. Indeed, having them in the conference has shown that current transnationalism research has both static and changing paths to explore. Marco and I arrived in Liège almost in good time to catch the first keynote speaker, Steven Vertovec, however the traffic in the city proved to be an important detail that we missed to include in our logistic planning. In short, we arrived almost halfway through Vertovec’s presentation of the concept super-diversity, which he introduced in an article in 2007. Vertovec further discussed that the concept had been cited not just by researchers within the field of sociology, migration and ethnic studies, etc. but also by linguists, lawyers, historians, and urban planners, among others. In addition, he also pointed out that even though the concept was used to describe a local phenomenon, it had consequently been applied to characterize similar cases from Brussels to China. Due to the concept’s popularity, it therefore generated divergent views and interpretations. Vertovec mentioned that there were six ways that super-diversity had been read by scholars: “1) Very much diversity, 2) More ethnicity, 3) moving beyond the focus on ethnicity, 4) changed set of conditions and social configurations calling for a multi-dimensional approach, 5) methodological re-assessment, and 6) meaning something rather different”. Of all the six views, only number 4, according to Vertovec closely relates to the attributes of the concept. Super-diversity is, in my opinion, just a ‘super’ concept. However, not because I think it is an appropriate term, but because it is too huge of a concept that it does not necessarily carry its intended meaning and purpose (check number 4). Hence, I can understand the emergence of interpretation numbers 2 and 3. Going back to the argument stated in his 2007 article, explaining that there are other layers that we should consider, which is true, the other side of it is the fact that such differences are driven by something common. People still migrate because they are driven by the need to survive, even if, for some, means losing their lives. I agree with Nina Glick Schiller that we should go beyond such terms as super-diversity, since it does not fully address the problem nor it gives a hint for solutions. Glick Schiller was the keynote speaker on the last day of the conference. Her presentation was about the descendants of migrants and the five tools that she formulated in order to help everyone understand the connected experiences of the youth in Europe and America. Her point of departure was to highlight the growing problem that many youth face in Europe, in particular those whose parents are immigrants. According to Glick Schiller these youth have struggled to belong to the nation state that they were born in and/or grew up. They are rejected because they do not exhibit the attributes of a native, however, at the same time the youth reject transnational and diasporic identities in order to assert their place in society. From this perspective, it is almost as if they are invisible, unknown, or unacknowledged. Understanding capitalism the Marxist way– that social inequalities are legitimised by national differences. From this perspective, one sees the disadvantaged or more precisely the dispossessed as being others. However, it should be noted that this goes beyond the physical characteristics of a person, since the poor whites also experience such invisible treatment. Hence, the concept of displacement is important to take into consideration to allow a more crucial understanding of whether the youth who want to be socially acknowledged are actually embracing the nation-state where they reside, that which continuously legitimize inequalities, as their identity. The critique of methodological nationalism (MN) and its extension: nation and race as interrelated notions– MN as briefly described in Glick Schiller’s conference paper, “each state contains a discrete national population who embody a common history, culture, and set of values”. Similarly, nation and race are also historically established. Discourses on a nation’s history have contributed to the creation of “race/nation/culture in a process of constructing both self and other”. Quite clearly, we, migration researchers have taken part in creating the idea of difference. Historical and typological time concepts– this third tool relates to the second in the sense that it helps us understand to go beyond the entrapment of historical discourses that basically vary over time. The concept of place– focuses on how place should be understood in terms of geographic and social positioning, however, methodological nationalists oftentimes homogenize migrants, refusing to acknowledge divisions that are present. Distinction of ways of becoming and ways of being– highlights the distinctions between identities. It is noted that social relations between different groups can sometime be problematic, since there is a strong tendency that despite a strong social relation between two groups (migrant and native), they would still find themselves alienated from each other. The fifth tool ends in a very interesting quote from Valluvan, Glick Schiller’s doctoral student: “The manner in which we imagine our lives might reveal itself as being at odds with the manner in which we live our lives”. 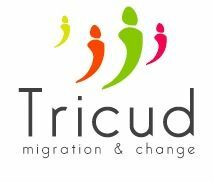 A summary of the conference is available on Tricud’s website.